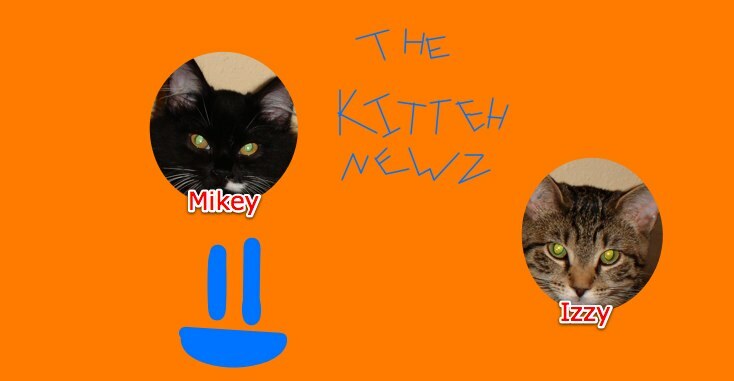 The Kitteh Newz: What Do YOU Think? 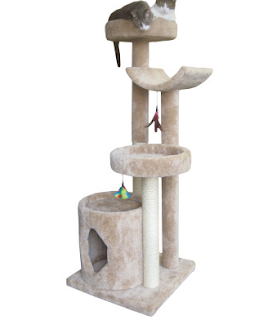 This is the Kitteh Tower that I am thinking of getting them. It is getting great reviews, and you can read them by going to http://www.petsmart.com/product/index.jsp?productId=3088315 and clicking "Read Reviews". Leave a comment and tell me if you give it a thumbs up, thumbs down, so-so, or an "i dunno". Ooh, Meowma, that looks FUN!!! We give it a thumbs up, even though we don't have thumbs. You both are such smart cookies! And really funny too! We are making a plan for your birthday! We like it...lots of high climbing opportunities; places to take a wee rest; and toys, too! Wish we had one, but we don't have room. Our Mama and Papa Frost like it also. You are very lucky felines indeed!